Among the innovations of Windows Vista, one of the most eye-catching and relatively useful if it's well used is the Gadget bar. With it we will be able to have small applications always visible on the desktop. Messenger Gadget is the one in charge of making sure that you always have your messenger connected and available, so that you can quickly view it from the gadget bar. 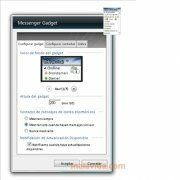 With Windows Live Messenger installed, this Messenger Gadget becomes a small window to see who is connected, their status and it easily allows you to update your status, without having to open the main program. 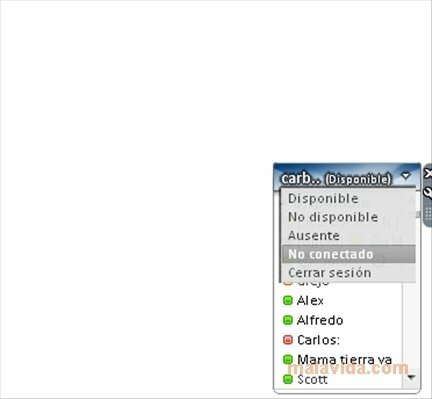 In this gadget we'll see all the things necessary to always be connected and informed in a small window, without any unnecessary information like the publicity integrated in Windows Live Messenger, our contacts' avatars or the integrated contacts search engine. 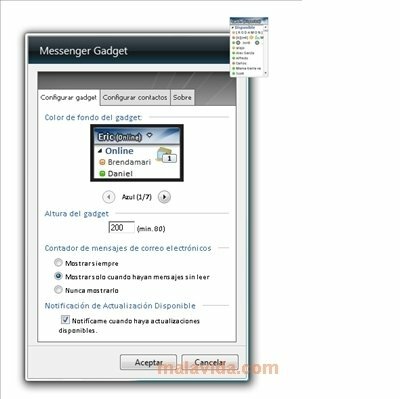 Thanks to Messenger Gadget, the Windows Vista bar starts being more useful, because even though it's very eye-catching, many of the gadgets that it includes by default aren't really very useful and don't improve the user's experience and productivity. 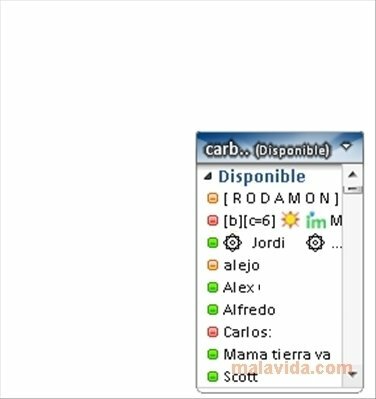 To be able to launch this program it is necessary to have Windows Live Messenger and Windows with Sidebar installed.